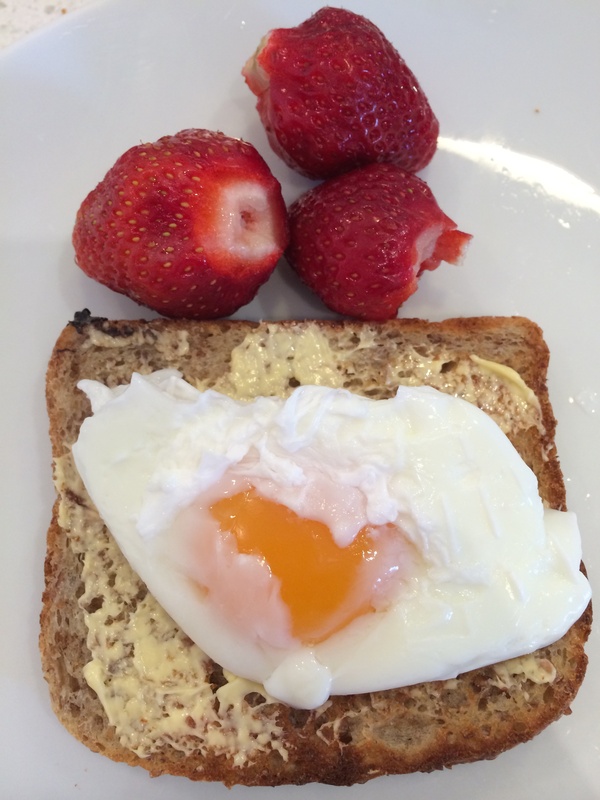 It’s a wet cold Sunday morning, perfect weather for a hot breakfast, we tried the thermomix poached eggs. There was a little lead time ensuring the water was boiling first before adding the eggs. Then the eggs were in dropped into the fast boiling water. We fully expected the whites to disintegrate everywhere in the basket but instead we were surprised and impressed by their cooked rounded shape unlike the flatter poached eggs husband normally serves up from stovetop pan. The only downside is the basket apparently only allows for two eggs at a time but with the ‘prepare and walk away’ factor, I’m not complaining. Takes 3 minutes to poach the eggs and gives me time set up the plates while the thermomix does the work. Our young food critics gave them the seal of approval, and Miss 8 even asked for another one.